REVOLVER | Zeitschrift für Film | DAVID BARKER "NOT UNDERSTANDING UNCLE BONMEE"
It’s wonderful to be here, in Berlin, for the Kirchentag. I usually come for the Berlinale and it’s freezing cold. More than that, the atmosphere is very different. It’s been great to see the warmth with which people interact with each other here. When we come for the festival everybody is stressed out and unhappy and competitive and kind of miserable. It’s a little strange to be talking about another filmmaker’s film. I didn’t make this film obviously, and I didn’t grow up in Thailand so I am looking at it from an outside point of view. Although I have seen the director talk about it many times. What’s always interesting to me about films is how they create a relationship to the audience and how they teach you to relate to them at the beginning. The main thing a film that has a story does is create a relationship to that story or to that subject. I want to start by looking at how this film creates this effect that it has on you and then look a little more specifically at what it’s doing and why it’s doing what it’s doing. 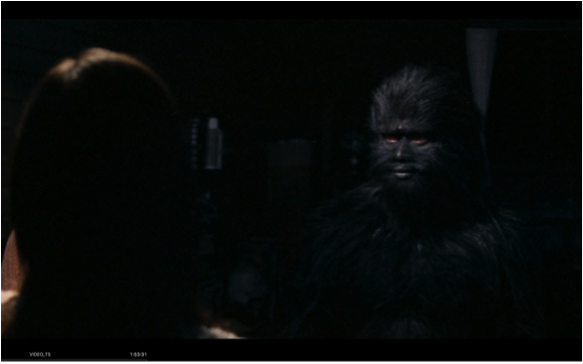 With Uncle Boonmee Who Can Recall His Past Lives, I’m really interested in the idea of ‘not understanding’ because it’s a movie that you perhaps understand intuitively rather than rationally. And ‘not understanding’ is a little unappreciated in movies. There are lots and lots of books on how to ‘understand’ films but there aren’t any books on how to ‘not understand’ films. And I think that’s actually an important idea. What this movie does is it teaches you to watch it in a certain way where you are not trying to understand it. That’s the thing that I find very interesting about it. I think about beginnings of movies as being a little bit like the way that babies interact with the world. When my son was about a year old, he would sit in his high chair and take food from his plate and drop it to watch it hit the floor. Then he’d do it again and it would hit the floor again, and he’d do it a third time with the same results. After he did it maybe 150 times, he’d realize that every time he lets the food go, it is going to hit the floor. He is testing things out, watching things, figuring out what the rules are of this world that he’s been born into. Lets look at how this works in the beginning of a classic narrative film. That was the opening sequence of Alfred Hitchcock’s Rear Window. My experience of watching it is something like this: I see through the windows of a series of apartments and I look at clues of decor and what people are doing and I get a sense of who they are. After seeing into three different apartments I get a sense of what the neighborhood is like, and then the camera dollies backwards in and I see the main character, Jimmy Stewart. I see the cast on his leg and that he’s stuck inside and this is probably the view that he’s looking at. Then the camera moves and you see his photography equipment and you see pictures of dangerous things that it is implied he has photographed – explosions and car races, etc. As you are watching it you are putting together all of these things, that he is a photographer, that he probably got injured on his job and now he’s stuck in this window. So you are getting information about the main character, you are looking for clues and you are putting together things and deducing things. At the same time the film is teaching you how to watch it. A movie often teaches you how to look at it in the beginning, it is constructed in a way that forces you to watch it in a particular way, the way that it wants you to watch the whole time. So the whole time you watch this movie you are going to be looking for clues and deducing things and figuring out what is going on in the same way that you do in this opening. And in fact you will be, as you watch the man across the street trying to tell whether he is a murderer or not. There is model of narrative movies that I think of as a kind of whirlpool; a charged space where everything that you notice has a significance and it gets pulled into a tightening circle by centrifugal force. 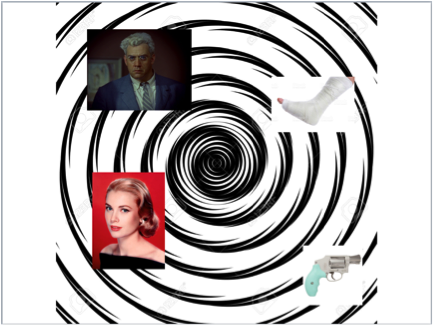 For example, in a movie like this, you might see a leg in a cast, the main actor, you might see a gun, you might see a blonde woman, you might see an angry person and the fact that you notice all these things means that they will be pulled into this whirlpool and they are all going to come together, that they will all mean something. That is one of the main ways most fiction movies teach you to watch them. Another way that movies teach you to watch them is to be measuring things, essentially the basis of scene structure. Here is a scene from another Hitchcock movie which is about measuring. This is an example of how most scenes are structured, though often not so overtly. They are based on goals and actions, and you measure how close something is coming to being achieved or not achieved. Something is at stake in a classical scene, and the audience is measuring this: if x happens, the movie goes this way, if y happens, it goes another way. In this case, you are watching Bruno trying to get the lighter which he has dropped. If he succeeds, he’s going to use it to incriminate the nice hero Guy. This scene is about: is Guy safe, or is he in danger? If Bruno is able to grab the lighter, Guy is in danger. And so you are measuring the distance between his fingers and the lighter – they almost reach, then the lighter falls farther, he tries harder and almost reaches again. In some movies, what you are trying to measure is a lot more subtle than that, it might be something that you are aware of only intuitively, it might be measured by a glance of the eyes. But in any case, the whirlpool of meaning and measuring things are the two ways that a classical fiction movie teaches you to watch it. In the beginning of Uncle Boonmee,instead, you have a bull and you’ve got Jenjira and you’ve got Boonmee and you’ve got a monkey ghost and you’ve got a princess…but they don’t get pulled into the centrifuge of narrative. The princess doesn’t ultimately transform into something that alters how you understand the last scene in the movie for example. Obviously, it’s teaching us to look at it in a very different way. Let’s look at the first two sequences in Boonmeeand see how they are asking us to look at them. There are two things that strike me right away as I watch this. One is the sound. The ambient sound is very upfront, very loud and present, much more so than you are used to in film. Usually, ambience like this is kind of mixed into the background to seem more naturalistic or not to be noticed. Here the ambient sound is very present, and the sound is all of things that you cannot really see, particularly the sounds of birds and insects. The other thing that I notice immediately is that you cannot clearly see the thing that you are looking at, for example the bull framed in the center of the opening shots. You can’t actually see it well. It’s underexposed relative to the field in the background. You can see it, but, it’s not satisfying in the sense that you desire – or even strain – strain to see it more clearly. The bull stays underexposed through several shots and then, a few shots later, when human figures are introduced for the first time they are also underexposed so you cannot see them well. So what this does is that it dramatizes the sense of sight – you want to see things which are the focus of the shots, but they are too dark, and then you want to see the things that you can hear, which are so loud, but they are offscreen. You have an experience of trying to see something that you can’t see. You may not realize it, it’s very subtle, but that is how you begin watching the movie. You have a way of watching it which is like a hyper-dramatized version of real life, the way you look around in the world, the way you want to look at something and you can’t quite see it. 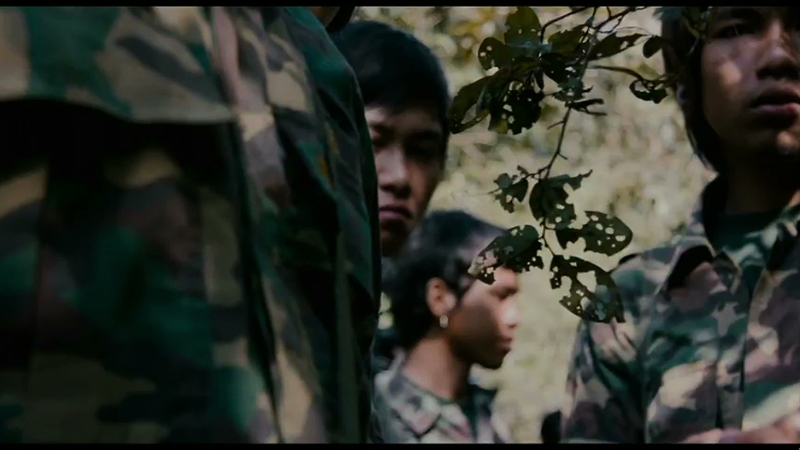 Let’s look at the second sequence of Uncle Boonmee. Once again, in this sequence you cannot really see the thing that you are being told to look at. Here you want to see the faces of the characters, because they are introduced from the back of their heads. This is not the first film you’ve seen, so you do have an automatic way that you are trying to figure out how these things go together. Your cinema brain is asking how the bull relates to these people in the car, but even prior to that, what is created in relationship to these people and the bull is relationship of desire. A kind of desire, an almost sensual, of just trying to see something that you are looking but that you are not able to see very well. Notice as well, that these sequences are not about ‘measuring.’ What is being dramatized is something totally different that what we looked at in Strangers on a Train. There is nothing at stake, nor any kind of goal or any kind of conflict. You are really looking at moments of ‘being.’ So you have something which is ‘being’ with a bull for a while, where the bull is being a bull. And you have this moment in the car of ‘being’ with people. You are just dramatizing these moments of being which are encapsulated in real time, each four minutes long or so. If you don’t watch these kinds of movies, it probably seems very slow to you in the beginning. This slowness is something interesting. For me this film, differently from Apichatpong’sother films, has a relationship to the films of the Russian director Andrei Tarkovsky who made long slow spiritual movies. I remember at some point reading in an interview where he talks about how the first shot of a film has to create for the audience the way of watching the film, and he said it’s very important that the first shot is too long – that it goes on and the audience is waiting for something to happen and nothing happens, and they hope something will happen and the shot needs go on longer than that until they give up waiting, and then you can start the movie because the audience has gotten into a space where they can actually begin to see things. I thought it fit really well with how this movie creates its relationship to you, or creates the way you look at it, inside this kind of space for moments of being. And then you add to that the desire to look; to see things as just things as a beginning. It creates a way of looking that is not instrumental. Niemeyer is talking there about a space which is not rational but poetic, and about the relationship between rationality and imagination. For me it really connects to what Uncle Boonmee is about and why these strategies are being used. 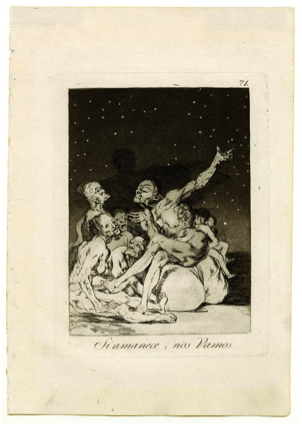 It’s about the idea of Enlightenment in the 18th century, the idea of reason and intellect being the primary source of authority and driving out the superstitions, nightmares and imaginary things. But at the same time this is happening, there is already a conversation about what is being lost with the elevation of reason. Reason leads to many things that are considered achievements by humanity, for example, ideas like liberty, equality and human rights come out of this, as do technological achievements and medical technology and understanding, yet at the same time it leads to a kind of reduction and instrumentality of nature – and this includes the instrumentalization of humans. So there is a conversation around the virtues of rationality, and at the same time the downside of this, a disenchantment of the world. This conversation is important in the 18thcentury but becomes much more important in the 20th Century, where people talk about how the rise of science and of capitalism did a lot of things that were very important in terms of what people consider to be successful in civilization but at the same time they destroyed traditional forms of community and they took a mystery out of the world, and its meaning, with devastating effects. 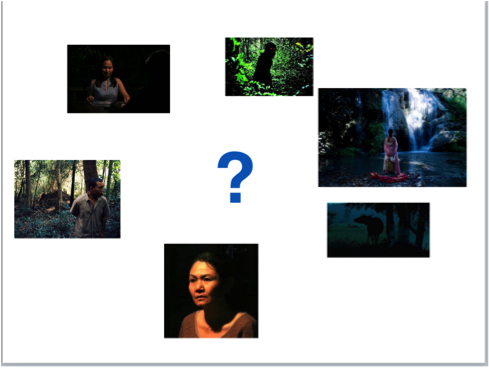 This is where Apichatpong is coming from in a way, something that comes up again and again when he talks is this idea of the unexplained or the mysterious. I remember an interview where he talks about reading science fiction and mystery and monster stories, and how whenever he reads these kinds of stories he finds life much more interesting. That’s a big part of what happens in this movie, it is really finding a way to bring mystery and enchantment back into the world. The movie is basically about his father, I think. At the center of the film it’s about his father’s death from kidney disease and the past, his father’s past as well as some of the past that’s in the area, and the idea that these past experiences and lives are there and suppressed and not spoken about but they come up from time to time. Let’s look at the monkey ghost. There’s a lot of human animal comparisons in the film, and it reminded me of a really great article by a British writer, John Berger called “Why Look At Animals?” It’s an essay about disenchantment but from the point of view of looking at the relationship between humans and animals. 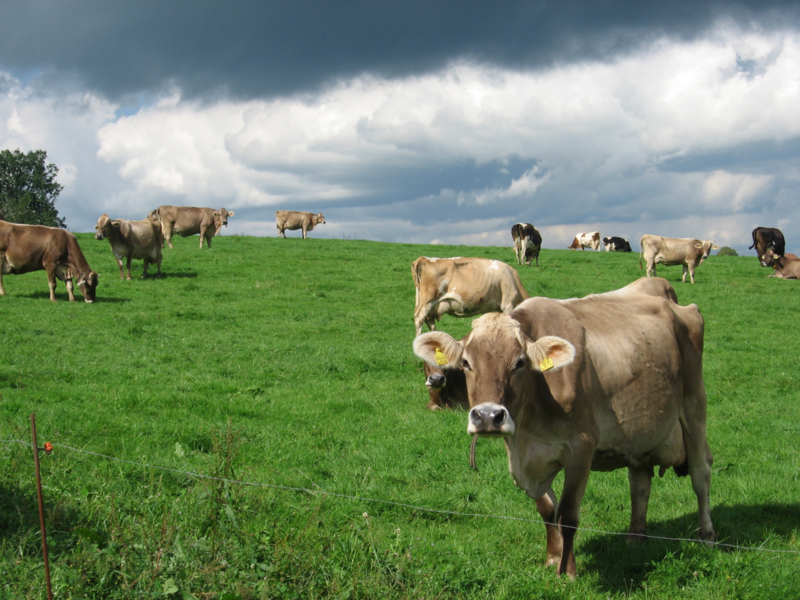 In it, Berger argues that animals were the primary contact for humans with nature for many, many years and that because they are mortal and sentient we had a special relationship with them. The human was aware that the animal was looking at him, and that the human returns the look, but what they share is very, very small. Most of what is there is not shared and is not understandable. 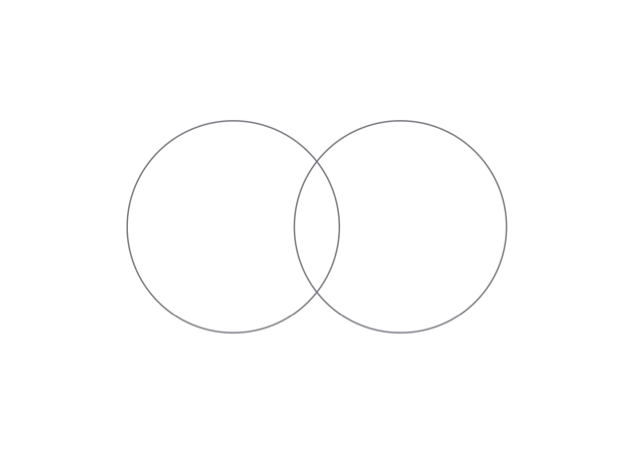 It is kind of like this model of communication – depicted as a drawing with two circles overlapping just a little bit – where communication is made possible by the tiny intersection or commonality of these circles. You can see, most of what is there is not shared and is not understandable to the other party. Berger describes humans as ‘looking across a similar, but not identical, abyss of non-comprehension,’ and he refers to Rousseau’s idea that this was a way for humans to define themselves, to figure out who they were. On all the planet, they were closest to animals yet different from them. In Berger’s telling, when this relationship disappeared and animals became more instrumentalized, humans lost this ability to define themselves and understand who they were. For me, this is something that comes up in the movie a lot. In the dinner scene, first a ghost comes, and then a monkey ghost comes, in each case sitting with the humans at the table looking at them and being looked at. The monkey ghost is something that is very close to, but not quite human. It’s a kind of mirror that isn’t a mirror. The project of this is reinvesting the world in mystery and reinvesting the world in enchantment. For Horkheimer and Adorno, rationality and instrumentalization are inseparable, so the flip side side of all of the advances in technology and medicine in health are the two world wars and mass destructions such as the Holocaust. So beyond the world being interesting or boring, this gives you what is at stake in this project of re-enchantment. So how do these ways of viewing that are created in Boonmee– and which we’ve seen are so different from the ways most narrative cinema – work to create this experience of wonder and re-enchantment? The difference is, that It is not a goal-oriented space such as that we discussed earlier, but a space of a kind of contemplation, a kind of slow desire to see. Towards the end of the film he’ll create this effect in other ways. In the sequence composed of still photographs, he creates a way of looking at a massacre that happened in the 60s near the area where he grew up, when the military government massacred a group of farmers, but it’s a way of talking about that in a way that is not naturalistic. You have an impression of the violence and the abuses that took place here, but then he puts in the monkey, puts in things which don’t belong, he makes it self reflexive, has people look at the camera, he has things like these kids, that are probably basically the kids of the people who were involved in this event and he has them playfully reenact the scenes. They refer to their shared past, a shared past which is a trauma, but at the same time he is not giving it to in a predicable register, where you can think about it in the stuck ways you always think about traumas and have the same predictable response. It is not a dramatic reenactment, where the actors are pretending to be the farmers or the military, but it refers to it in a way which at the same time brings this sense of wonder, this sense of the past and the present mixed together, co-existing in a reality that holds a lot of mystery still, we can’t say exactly what is the past, what is the present. He’s literally altering the way we can think about our shared experiences. That’s a typical example of the kinds strategies he takes throughout the film to create an experience that is at the same time understanding and not understanding. Although you ‘get’ the film on a certain level, the mystery of the world, of being human, and of being an outsider to this extremely personal vision not only remain intact but are an integral part of the experience that has been created.